I found this flier at the Garden yesterday and feel compelled to pass it along. I used to patronize this laundromat and my dealings with the ownership there were always pleasant. 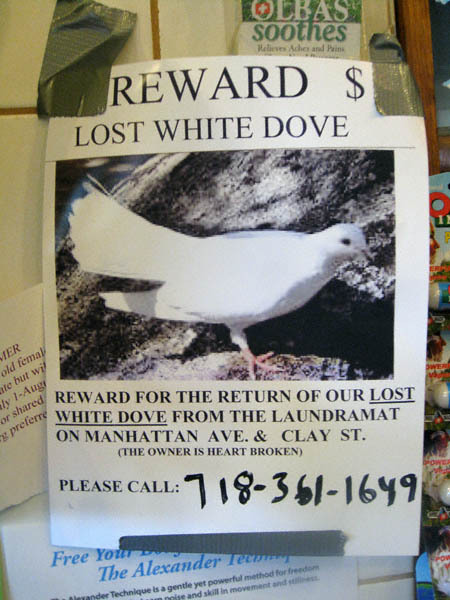 If anyone has seen their pet dove (or knows of its whereabouts), please contact them at the above phone number.